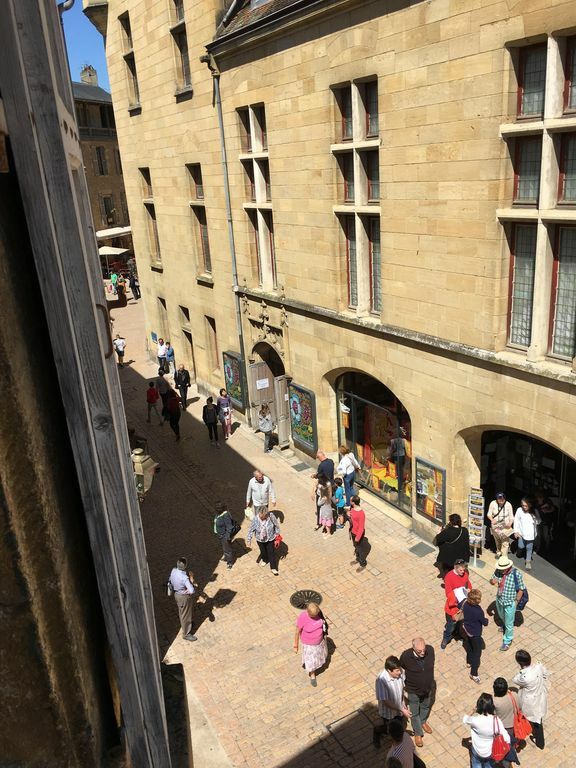 Nel cuore della città medievale di Sarlat, pittoresca e tranquilla zona sulla strada pedonale di fronte all'ufficio turistico. Sala da pranzo 20m2 soggiorno con divano letto per due TV. Una camera da letto matrimoniale possibilità di bambini nella prima infanzia. stoccaggio. Situato nel cuore della città medievale di Sarlat. Magnifica vista le strade pedonali che godono (negozi, musei, ristoranti e varie animazioni). possibilità di fare lavori di casa per 20 € per soggiorno. It was close to everything and right in the heart of the old town. Great atmosphere on the streets . The apartment was comfortable for two adults and was sunny and bright . Our hosts were very helpful and at hand to answer any questions. It was a great experience to stay within the old town walls of a medieval village . We spent a delightful week at this spacious and welcoming apartment and were very pleased by our stay. Comfortable bed. Plenty of rooms to spread out in. A compact but nicely equipped kitchen. It is inside the architecturally significant old town, which means there can be hordes of tourists down below at times and street musicians, sometimes amplified, at night. But everything calms down by around 10 p.m. And you get to easily enjoy the splendors of the neighborhood, early and late, when no one else is around. We were not disturbed by the occasional early morning street cleaning or the vendors setting up for twice weekly markets. Free parking was a breeze, less than a 10-minute walk away (and you need a car to explore the many and varied delights of the Périgord Noir). Agnes and Alain are perfect hosts, easy to communicate with and prompt about arrival and departure. Difficult to imagine a better place to stay in Sarlat. Highly recommended. In the heart of the old city, great location. Many good restaurants and stores. The location was the best. Much to see and do. Very very noisy at night. There was no washing machine in apt.